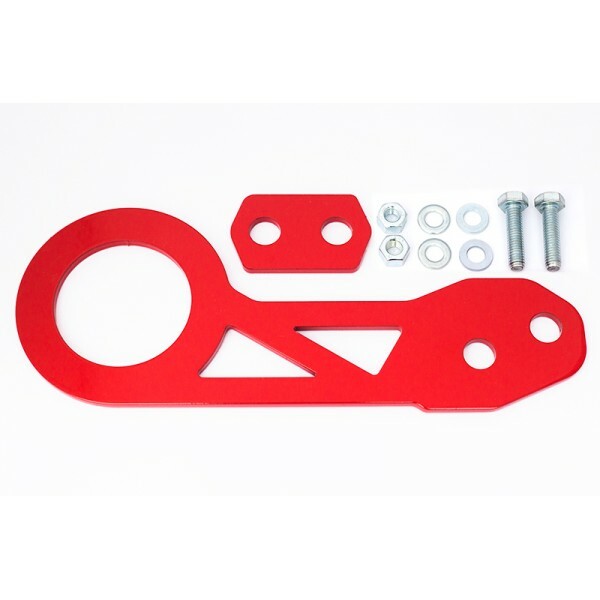 Universal fit rear tow hook. Available as red powdercoated steel. Comes with fitting kit.